I’m not sure how much work I’ll get done this week. I’ll be busy hanging out at the Kidlit4Japan Benefit Auction. The auction started today, and already I’ve found a few keepers I’m interested in. But I have to pace myself, for there’s sure to be keepers every day for the next couple weeks. 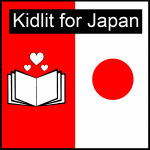 Thanks to the awesome organizer and children’s author, Greg R. Fishbone, a TON of generous folks in the kidlit world have signed on their talents to benefit the children in Japan. You can help these children by making a bid on any of the TONS of books, ARCS, critiques or other services offered. And really, you can help yourself as a writer if you bid on (and win) a critique. But you’ll have to raid your penny jar and maybe your friend’s piggy bank to afford a critique. It’ll be worth every penny, though, and go to a wonderful cause (besides yourself, I mean). But if you don’t have enough to bid, check out a SCBWI newsletter for helpful and free information. You can find my Southern Breeze region’s newsletter here. And a week or so ago, I came across Kite Tales, from the Southern California region, where you’ll find lots of swell interviews. Then send a prayer or two, instead. Because you can make a difference in the world. Every. Little. Bit. Helps.